My first tax season out on my own is in the books, and I want to thank the people of Hampton Roads for making it a great success! I previously worked for The Big Box, so I wasn’t new to taxes, but opening my own tax firm took a leap of faith. I had to find my own office, get my own software, develop my own processes, and then hope that some clients would not just find me, but trust me with their finances. These are not small things if you’re serious about building your own tax business. Back in January I wondered if this Grand Plan of mine was going to work. I have to confess I even worried a little bit. Now that tax season is over I look back with a great deal of satisfaction at how things went. Not that there weren’t some bumps in the road. Some growing pains. There were. I learned some things along the way that I plan to use to make next year even better. But for now I just want to take this opportunity to thank my inaugural year clients. Nearly all from Virginia Beach, but a few from other parts of Hampton Roads. It was great to get to know each and every one of you. The feedback you provided was essential in helping me build the practice I want to build. There are some amazing people doing amazing things in the world. It is inspiring to discover so many of them are my neighbors. I hope to see you all again next year. And I hope to see some of you even sooner than that. Somewhere around the middle of tax season the state of Virginia approved my application for PIM Financial Partners to be a Registered Investment Advisor. Some of you expressed an interest in financial planning while we reviewed your taxes, and those services will soon be available. I read about it all the time and I have made several Facebook posts about it this tax season, but identity theft got personal for us this year. Our tax return could not be e-filed with the IRS because Tade’s social security number had already been used by someone else. Someone stole her social security number and filed a tax return in her name, which blocks us from being able to file our return electronically. It’s strange when it happens. I do our own taxes, of course, so I was the first person to see the rejection notice from the IRS stating that her social security number had already been used. My first reaction was equal parts shock and outrage – HOW DARE SOMEONE DO THIS! That first reaction hasn’t changed much over the last week or so since it happened. It has transformed a bit into fear there could be additional damage, but the anger remains. I’d like to find and throttle the criminal who did this. Sadly, I hold out little hope this jackwagon will ever be found. Cyber thieves are very hard to track down. We can’t let that stop us from taking action, however. There are things to be done to get our taxes completed, protect our future tax filings, and prevent any further damage to our credit and finances. Let me outline the steps to take when you are the victim of a fraudulent tax return filed in your name. Generally, you ‘tell’ the IRS by mailing them a paper copy of your tax return. Include with it a form 14039 Identity Theft Affidavit. There is space on the form to tell the IRS what happened that alerted you to the fact that your identity was used by someone else to commit tax fraud. You will also need to include a photocopy of your ID to prove that you are who you say you are. Instructions for including your ID are spelled out on the form. Filing form 14039 tells the IRS your identity was stolen and your SSN was compromised. 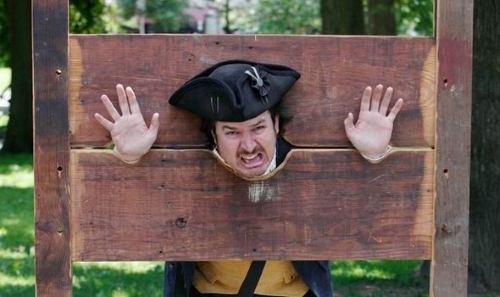 This puts you in the IRS’s database as requiring a separate PIN in order to file your taxes. The IRS currently issues these in December. You will get your PIN in the mail, and YOU MUST HAVE IT in order to file your taxes electronically next year. Don’t lose it! Depending on how and when you filed your taxes you might first discover the identity theft by receiving a 5071C letter from the IRS. This letter informs you the IRS suspects someone may have committed tax fraud using your information and that you need to verify your identity in order for your tax return to be processed. Follow the instructions in the letter. Even after you have things squared away with the IRS you should take additional measures to protect yourself from further harm. A criminal has your personal information. You have no idea what their intent might be, but we already know they are willing to use it to steal tax money from the government. Are you willing to gamble they are just going to stop right there? You should file a complaint with the Federal Trade Commission (FTC). You can do this online at identitytheft.gov. Get a copy of your credit report from at least one of the bureaus and review it. They are required to give you one free copy each year. Verify all of the open credit and financial accounts in your name. If you see one you don’t recognize, close it. Especially if it was opened recently. Even if there is no suspicious activity on your credit report you must remain vigilant. Your information is still in the hands of a criminal. They might just be waiting until they think you’ve forgotten about that fact to strike. You will need to stay on top of this for the rest of your life. The credit reporting agencies have to give you a free report once a year. I have set up a schedule to get a report from a different agency every 4 months; Equifax in February, Experian in June, TransUnion in October. Rinse and repeat each year. That way I get my free report from each of them, and I also have year-round coverage. If you’re able you might want to consider one of the credit monitoring services available. You pay a fee for that service, but any time there is activity in your financial world they will send you an alert. Tade and I signed up for one of these, but I am not overly impressed, so I am not going to recommend them by name. If you’re interested, you can do some research and find one you think is suitable for your needs. Getting your identity stolen stinks. It really stinks. If it has happened to you then you know exactly what I mean. I hope they catch the guy who did it. If they catch your guy give me a call and I’ll go in 50-50 on the bushel of rotten tomatoes with you. If you need help with getting your tax situation straightened out with the IRS, give me a call. Readers should be aware the tax law signed by the President on 22 December 2017 dramatically changed the applicability of this article. Most of these rules have changed or are obsolete. I have decided to leave it here for consistency and posterity. Moving expenses, under certain circumstances, can be taken as an adjustment to income. Adjustments are my favorite variety of deductions, because you can use them even when you don't have enough other deductions to itemize - AND - adjustments lower your adjusted gross income, which may make you eligible for additional tax breaks. The IRS refers to the adjustment for moving expenses as a deduction, so in order to keep things simple I will also refer to it as a deduction. Just be aware that this is an above-the-line deduction, so it does not go on Schedule A. It goes right on form 1040 in the adjustments section of the tax return. You can deduct the unreimbursed costs of a move if it was work-related and you were not paid additional money by your employer to cover your costs for moving. By work-related the IRS means you moved in order to take a new full-time job in another location. It is not necessary to have the job before you move. It is just necessary that you start working once you get to the new location. In order to meet the IRS requirements to qualify for the moving expense deduction there are two tests, one for distance and one for time. The Distance Test is simple, although when you first read the definition you can get lost in the words. The IRS writes, “Your move will meet the distance test if your new main job location is at least 50 miles farther from your former home than your old main job location was from your former home.” In other words, if staying in your home when you take a new job adds 50 miles to your commute, you can move and write off the unreimbursed expenses for the move. Moves are often much farther than 50 miles, but it is not uncommon here in Hampton Roads for someone to be living on the peninsula, take a job in Virginia Beach or Chesapeake, and decide to relocate to avoid dealing with the bridge-tunnels every day. That’s when we have to break out the IRS rules and get very specific on the distances to see if your move qualifies. If you moved from Florida or Texas to Virginia, it’s a slam dunk. The second part of the test is the Time Test. The time test is different depending on whether you are an employee or self-employed. Employees must work full time for at least 39 weeks of the first year after the move. If you move and start your own business (self-employment) you must work full time at least 78 weeks of the first two years, including 39 weeks in the first year. If you are married and file jointly only one of the spouses must meet the time test. Everyone is different, and unusual situations result. For example, a parent might relocate to take another job, and leave his or her spouse and children at their old house for several months to finish school before they also move. The IRS says that as long as the move happens within a year of the start of the new job it is deductible. Similar to the pirate’s code, though, this is more of a guideline than a rule. If you have extenuating circumstances as to why the move could not happen within a year of the start of the new job, then you can apply to the IRS to allow your moving expenses even if they happen more than a year after the new job starts. You can deduct the cost of shipping your household goods and the costs of travel. Household goods shipments include your personal property and effects, including pets. You can have a moving company transport your goods or you can rent a truck and move them yourself. You can also deduct the cost of storing and insuring your household goods for up to 30 consecutive days during the move. Deductible travel expenses include lodging and transportation. Meals are not deductible as a moving expense. Lodging is typically hotels and motels, and can include nights spent in a hotel near your previous home because your household goods were in transit. Transportation can be tricky. If you take your own vehicle, which is common, you can deduct the actual expenses for gas and oil OR you can take a deduction based on mileage. The 2015 rate is 23 cents per mile. If you have more than one car you can deduct the cost of driving each one as long as it was driven by someone who is a member of your household. Just be careful that you are only deducting the expenses for each member of the household one time. A person might make multiple trips from the old home to the new home, but you only get to deduct one of those trips from your taxes as a move. Whether you use the mileage deduction or the actual gas and oil expenses you can also deduct any fees for parking or tolls that you paid along the route. You may not deduct expenses for repairs, insurance, or depreciation. Some things the IRS specifically points out as NOT deductible include improvements to your home, car tags, house hunting expenses, return trips to the former residence, losses on your former residence, fees for breaking your lease, and security deposits. Moving can be an exciting, but hectic time. There are always hundreds of things to do when you move. 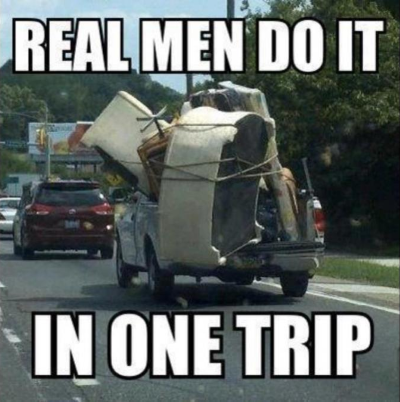 Just don’t forget to keep track your moving expenses. You’ll wish you had at tax time! If you have any questions about deducting moving expenses from your tax, please contact me. Tax Preparation is an oxymoron. In the English language the word prepare means to make yourself ready for something you will be doing in the future; to get ready for upcoming events. Tax return preparation is about what happened last year. When we generate the return we are looking backward, not forward. Even though I think it should, tax preparation usually has nothing to do with getting ready for upcoming events. A better description for generating a tax return would be tax reconciliation. You are comparing what you paid in taxes for the previous year to what your final tax bill actually was, and then you reconcile the difference. If you paid too much you get a refund. If you did not pay enough, you owe. I don’t want to make too big a deal of this. Fussing about the language is like howling at the moon. I am known as a tax preparer, and most people understand that to mean I assist with the reconciliation of last year’s taxes, generate the tax returns, and get them filed with the appropriate federal, state, and local authorities. All of that is true, and I see no reason to go on a crusade to try to change what it is called. 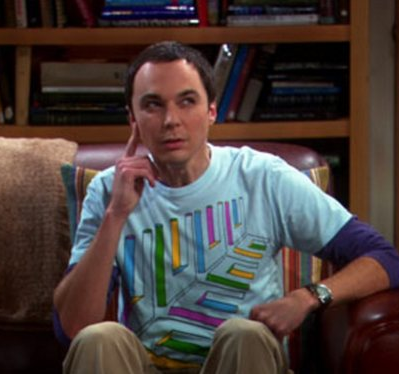 My inner Sheldon finds it curious, though, and I would stress that one of the primary advantages of hiring a professional tax preparer over do-it-yourself tax preparation software is that a professional tax preparer can, in fact, help you prepare for the future. I would like to dispel a different tax myth, however, and that is the myth that all tax preparers are also accountants. Some are, but many are not. I, for example, am not an accountant. The opposite is also true – not all accountants are tax preparers. Many accountants are, but not all. I have a client who is an accountant. He works in the accounting department of a large corporation. He seems sharp and I suspect he is good at his job, but he doesn’t know individual income tax law, so he hires me because I do. A tax preparer applies your financial situation (your annual income, expenses, etc.) to the tax law to reconcile your taxes in the manner that is both legal and most advantageous to you. A true tax professional, such as an Enrolled Agent, can also provide you with tax advice so you can actually prepare for taxes in future years. In short, accounting gets you ready for the preparation of your tax return. The vast majority of my clients are essentially their own accountant. They keep track of their finances and bring me the results from the previous year so that I can apply them to the tax laws and generate their tax return. 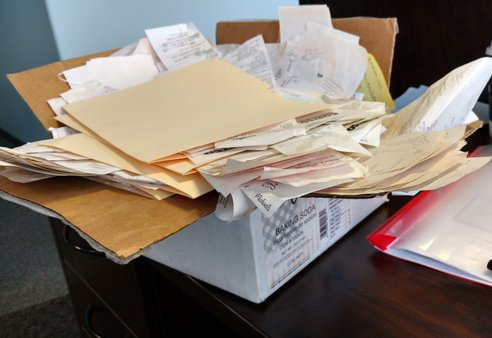 A few, usually with a rental property or a home business, will bring me a box (or an accordion file) of receipts that need to be sorted and totaled before I can begin generating the tax return. This is an accounting function, not tax preparation.If they bring me a lot of receipts this can be quite time-consuming, so I charge a bookkeeping fee to compensate me for the time. (I call it a bookkeeping fee to distinguish the fact that I am not an accountant.) My bookkeeping fees (currently $120/hour) are quite reasonable when compared to the fees most actual accountants charge for a similar service, but can add quite a bit to the cost of tax preparation for a client. An easy way to avoid paying me (or another tax preparer) bookkeeping fees is to sort and total your receipts prior to engaging me as your tax preparer. I encourage all part-time landlords and small/home business owners to do this. * I have some helpful guides available for download if you need assistance with understanding the categories of business and/or rental expenses the IRS wants you to track. Or you can always call or visit my office and ask. There’s no charge for helping you get prepared for your tax appointment. Don’t sweat the small stuff. I don’t look for excuses to charge for bookkeeping. You don’t have to build a master spreadsheet to total a handful of charity receipts or two semesters of college books. It only takes me a few minutes to add those up and put them on a tax return. I consider that just part of the tax prep fee. I like to think I apply common sense to when and where I charge for bookkeeping. I also never surprise people with bookkeeping fees. If I don’t mention it when I give you a price quote, there won’t be a charge for it. Most people want to keep their tax preparation fees as low as possible, and I completely understand that. I’ve said for a long time I think most tax preparation fees are ridiculous. I don’t charge for bookkeeping to drive up my fees. I charge for bookkeeping because the time I spend doing it cuts into the time I have available to assist others with reconciling last year’s taxes or preparing for next year’s taxes – my primary service area. If you have any questions about tax preparation or bookkeeping, please contact me. *If your business is an S corporation or a C corporation, you should probably consider using an actual accountant. The complexity of those entities typically makes hiring a professional accountant a bargain. As big a fan as I am of the Virginia 529 plans, I think I am an even bigger fan of TSP. 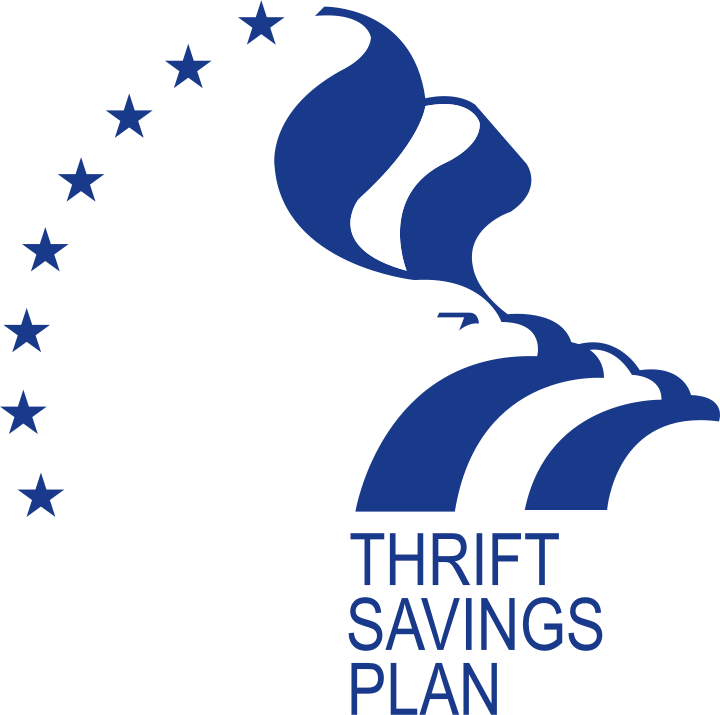 TSP is the Thrift Savings Plan, the federal government’s version of a 401(K) style retirement plan. It is open to all federal civilian employees as well as military personnel. Here is my simple piece of advice regarding TSP – use it! I was born a skeptic, and then I worked for the government for almost 3 decades. That time was full of disappointment about the systemic waste and mismanagement I witnessed on a daily basis. When I first heard the government had implemented a 401(K) style retirement program my first thought was I wonder how screwed up that’s gonna be. To my extreme delight I discovered it was not screwed up at all. It’s very very good. In fact, for accumulation purposes it is quite likely the best employer-sponsored defined contribution retirement plan in America. If you are eligible to participate in TSP, but not participating, you are making a mistake. Super Low Costs. Retirement plans traditionally invest in funds, and the funds charge a management fee. The management fees in the TSP plan are the lowest I have ever found; 0.029% as of this writing. The cheapest management fee in a fund my wife, Tade, can buy through her employer-sponsored retirement plan is 0.50%. These may seem like small numbers, but they are not. Over time they really add up. But even just at face value Tade is paying more than 17 times the management fees for her fund than a TSP participant pays – and that’s for the cheapest fund available to her! Simple Selections. Studies have shown that the more fund choices an employer puts in the retirement plan offered to employees, the lower the plan participation rates. Employees experience choice overload, and some respond by not participating in the plan. Others respond by making selections of the easiest and safest sounding funds – which may not be the best choice for them based on their individual situation. TSP keeps it simple – there are 5 funds from which to choose. If you still can’t decide what to do, TSP will set up a life-cycle fund for you. All you do is select your retirement year and they choose the funds for you and change them over time as your retirement date gets closer. Very, very simple. The G Fund. Would you like a guarantee that you’ll never lose money on your investment? If so, then the G-Fund might be for you. The G Fund invests in US Government Bonds, but with a twist. While government bonds can decrease in value, the G Fund comes with a guarantee that it will never be worth less than you put in it. In the current low interest rate environment government bonds aren’t paying very much, but that guarantee to never lose money makes the G Fund worth a second look if you need stability in your retirement portfolio. TSP comes in two flavors – Traditional and Roth. Just like IRAs of the same flavors, the difference between the two is the timing of the taxes you pay to participate. With Traditional TSP you get a current year deduction, but you pay the taxes later when you withdraw the money in retirement. With Roth TSP you pay the taxes now, but future retirement withdrawals are tax free. If you are under age 59 ½ and considering a TSP withdrawal for anything other than your retirement, please contact me first. There are a lot of rules about early withdrawals, the circumstances surrounding them, and the tax penalties that might result. Talk to me first before you make an early withdrawal. I prepare taxes for several clients each year who wish they had! If you are in the military and deployed to a tax-free combat zone for part of the year, there are some special rules you should be aware of. If you are participating in Traditional TSP and you deploy to a combat zone your W2 will have an entry in box 14 with Code E. That’s the money you put into TSP while you were in the combat zone. That’s an important number to keep track of, because unlike most of your contributions to Traditional TSP, that money can come out tax free. Normally you get a tax break for putting money into Traditional TSP, then you pay the tax on it later when you withdraw it. When you are in a combat zone that money was earned tax free, and it stays tax free for life. When you withdraw that money from your TSP in retirement if remains tax free. You’ll want to keep track of that to ensure you aren’t paying taxes on money that should be tax free! As a corollary to number 1, if you know you’re going to be in a combat zone you should consider switching to Roth TSP while you are there. You don’t need the current year tax break (your income is tax free) so putting that money into Roth TSP instead of Traditional TSP means that you have the opportunity for Tax Nirvana – that money can go into your retirement account tax free, grow tax free, and be withdrawn tax free. Opportunities to completely escape taxation like that are rare in life. Take advantage of it! There is another option for military members in a combat zone, and even though few can afford it, I’ll bring it up in case there is someone reading this who can. Your Roth TSP contribution limits remain unchanged while you’re in a combat zone - $18,000 (in 2016). Traditional TSP limits, however rise to $53,000 (or 92% of pay, whichever is smaller). If you have the means, you can stuff a ton of extra money into your TSP account in a year you’re in a combat zone. Is There Anything Not to Like About TSP? If there's one area in which I think TSP could get better it's in the area of distributions. TSP isn't as flexible as some other plans. You can set up periodic withdrawals, or you can take a lump sum, but you can't do both. For most people these options will probably work out just fine, but if you want maximum flexibility to do something spontaneous like travel whenever you want you can't just make a withdrawal from your TSP account to do it. If you need that kind of flexibility you might want to roll your TSP account assets out to an IRA when you retire. TSP is a fantastic retirement plan for many reasons. There are also many tax breaks, tips, and tricks associated with TSP that can help you out in different situations. If you want to know more about your TSP and taxes, contact me. I am big fan of the Virginia 529 program. It offers a lot of flexibility and a variety of opportunities to get tax breaks to save for higher education. Unfortunately, it also offers a lot of opportunities to screw up when you are taking the money out to spend on college. If not done properly you could find yourself paying both taxes and tax penalties on money that should have been (and was planned to be) tax free. The biggest penalties may not come from the IRS, either. If you took a Virginia state tax deduction for your past contributions, you have to pay Virginia back the amount of tax you originally saved plus interest. You might have made that contribution 15 or more years in the past. That could add up to a lot of interest. The normal six-year statute of limitations on Virginia back taxes does not apply, either. It doesn't matter when the contributions were made, if you don't use that money for higher education (or have a qualifying exemption) you have to pay Richmond back. That could be very very painful. Problem - You took money out of your Virginia 529 in December for tuition you paid in January. Seems harmless enough, but that’s two different tax years. Money withdrawn in 2015 needs to get matched against qualifying expenses paid in 2015. If you can’t match up your tax qualified money against qualifying expenses on your tax return you may be in line for some taxes and penalties. Solution – Put it into a different 529 account. If you put the money back into another 529 account within 60 days of withdrawing it then it counts as a rollover and you are not taxed. You can put it back in an account with the same beneficiary only once per year. You could also put it in another beneficiary’s account (i.e. a sibling) as long as the new beneficiary is a family member. You could even open an account for yourself and stick it in there. In a future year you can always withdraw it again and put it back in the original account. Just remember that you cannot take another tax deduction for the money if you are rolling it over. The Virginia state tax deduction only counts toward original contributions. 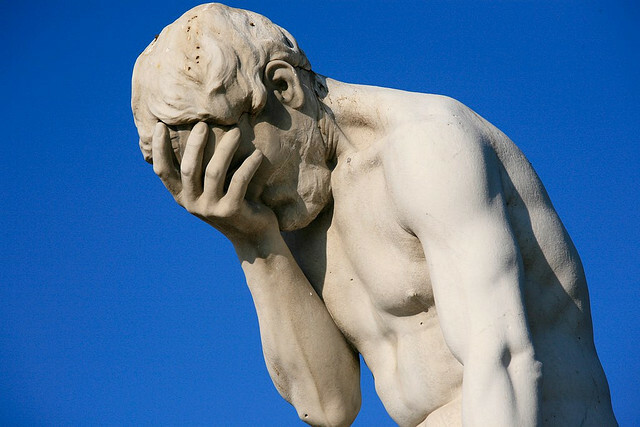 Problem – You paid tuition with money you withdrew from your Virginia 529 account and now you don’t have enough qualifying expenses left to claim the American Opportunity Credit. This mistake is easy to make because you might be paying the tuition in January and you won’t be filing for the American Opportunity Credit on your tax return until March or April of the next year. You’re probably not thinking about your taxes 15 months out when you’re paying the tuition. While there are several different higher education tax benefits, the IRS generally allows us to take only one tax benefit on each dollar spent on higher education. Solution 1 – Dig for additional college-related expenses. It would be pretty rare for the tax-free character of the Virginia 529 withdrawal to be more valuable than the very generous American Opportunity Credit (AOC), so you will want to be able to claim the AOC. The list of qualifying expenses for AOC is much more limited than it is for the 529 money, so apply up to $4,000 (the max) of expenses that qualify for AOC against the AOC, and then look for additional expenses to match up to the 529 money. Room and board, parking passes, and computers are some of the expenses that qualify under Virginia 529 plan. Solution 2 – Pay the tax on the Virginia 529 money. If you can’t come up with enough qualifying expenses to justify your Virginia 529 withdrawal, then you either have to not claim AOC or pay the tax on the Virginia 529 money. Given that situation your best choice is likely to pay the Virginia 529 tax. Fortunately, the IRS waives the penalty (not the tax, though) if your 529 money is disqualified because you took a different tax credit. Always run the numbers to be sure, but the AOC is so valuable you will nearly always come out ahead by claiming it and disqualifying all or part of your Virginia 529 withdrawal. Problem – You didn’t take out enough money. Your child has graduated and everything is paid for, but there is still some money in the Virginia 529 account. 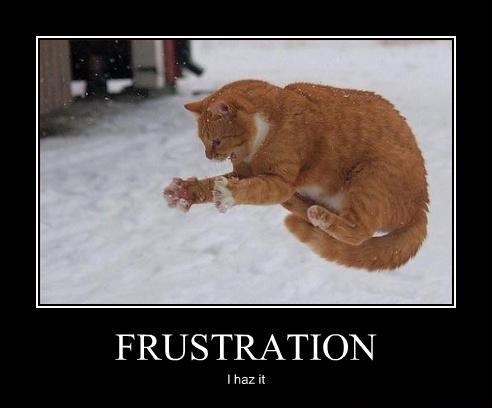 I put this in the category of good problems to have, but it is still a problem. If you take that money out for anything other than qualified higher education expenses you are going to have to pay taxes and penalties. Solution 1 – Leave it within the 529 system. There are multiple scenarios under this option. a) If the original beneficiary has a sibling the money can be rolled over to the sibling’s account. c) You can open an account in another person’s name and move the money there. Solution 2 – Withdraw the money as efficiently as possible. If you want to get the money out of the Virginia 529 program, but don’t have qualifying higher education expenses, at least try to be as tax efficient as possible with your withdrawals. Don’t withdraw so much in one year that it moves you to a higher tax bracket. You might also consider whether you or the beneficiary would pay more taxes on the distribution. Either of you can make the withdrawal and the tax is owed by the recipient. It might be more beneficial for your child to take the distribution and pay the taxes than it would be for you to do it. The Virginia 529 plan is a fantastic program. It offers some great tax savings for parents in the accumulation phase of college planning for their children, with no income-based restrictions. But the rules are complex, and unsuspecting parents/taxpayers will sometimes unwittingly fall into a trap during the distribution phase of the college plan. If you have questions about using your Virginia 529 plan as efficiently as possible, please contact me. Children under the age of 17 can be very valuable on a tax return. I miss the days when my children were younger and I could claim them all on my return. I think I was always extra nice to them around tax season after seeing how much they had saved me on my taxes. They might have noticed, though I doubt they enjoyed being called “my little exemptions” for a week or two. Any dependent for tax purposes will provide some benefits, but this article is focused on the federal tax benefits for children under the age of 17. When I use the term “children” in this article I am referring to children under the age of 17. With all of those potential benefits, the ability to claim children on your tax return can make a huge difference in your tax liability to the federal government. Not surprisingly, the value of children on a tax return has led to some disputes between taxpayers as to who can claim a child for tax purposes. Often this is between parents who have split up, with both parents providing support to the child(ren). The IRS has rules governing who may claim a child for tax purposes. These rules do not always match a “divorce decree” or other ruling from a state court. In such cases the IRS rules take precedence for federal tax purposes. Many people find this shocking. They spent a lot of time and legal fees to get a divorce agreement in place, and they find it difficult to believe the IRS doesn’t have to adhere to it. Well, believe it, because they don’t. 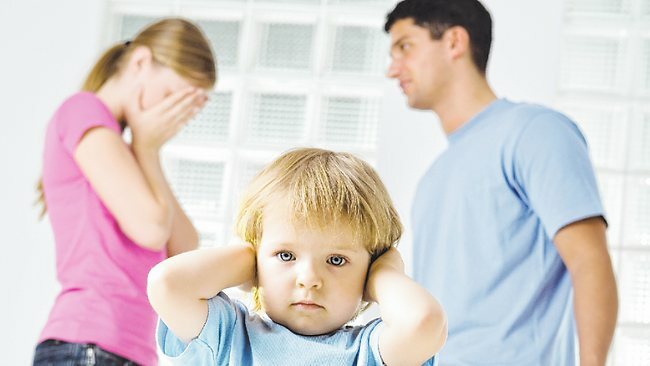 Marriage, divorce, and parental support of children are governed by state laws. The IRS is not. If you want to claim all of the tax benefits for a child then you need to have custody as defined by the IRS. Your divorce arrangement may say you have “joint custody”, but if you have not met the IRS definition of custody, then you don’t have custody for federal income tax purposes. These benefits are non-transferable. If you do not have custody of the child(ren) according to the terms laid out by the IRS, you cannot claim any of the above-listed benefits – even if the other parent isn’t claiming those benefits or says they don’t mind if you do. In other words, if your child(ren) lived with their other parent more than they lived with you, you are not Head of Household, you can’t use your child(ren) to claim the Earned Income Tax Credit, and you can’t claim the Child and Dependent Care Credit. The IRS rules are very clear on this. HOWEVER, those last two tax benefits can be claimed by the non-custodial parent if the custodial parent agrees. The custodial parent can transfer these tax benefits to the non-custodial parent by filing Form 8332, Release of Claim to Exemption for Child by Custodial Parent. Form 8332 can be submitted for a single year or for multiple years. The same form can also be used to revoke a previously made release of claim. It is not uncommon for divorced parents to legally share the tax benefits of their child(ren) either during a tax year or over multiple tax years. Parents with two or more children may agree that some of the children lived the majority of the year with one parent and some of the children lived a majority of the year with the other parent. This enables each parent to claim the non-transferable tax benefits of the children who lived with them for most of the year. Parents of a single child can share the tax benefits over time if the child lives the majority of the year with one parent in some years and lives the majority of the year with the other parent for the other years. This would likely cause large variations in federal taxes between the years of claiming the child and the years of not claiming the child. If both parents are agreeable, however, it should be manageable with some appropriate planning. Remember that we are dealing with federal tax law. I don’t recommend trying to be clever and claim something that isn’t true. If your return is audited the IRS may ask for evidence that your child lived with you for the majority of the year claimed. School records, day care records, medical bills, etc. is typically what they are looking for. You might have a difficult time convincing them your child lived with you here in Virginia Beach if they attended school in Santa Monica that year. The IRS rules on this are rigid, but there is always a little wiggle room. The laws have to apply to every taxpayer, and sometimes people’s situations are not a perfect fit to the situations envisioned by the lawmakers when they were crafting the laws. If you have questions about your ability to claim a child on your tax return, please contact me. Taxpayer: How much do you charge? Paul: Do you use the standard deduction or itemize? I am about to tell you what that means. In addition to raising revenue the federal government also uses the tax code to influence our behavior. For example, home ownership is good for the economy. When people buy homes it creates jobs for home builders, landscapers, real estate agents, bankers, etc. The government wants to encourage Americans to buy homes, so they allow money spent on things like mortgage interest and real estate taxes to be deducted from a taxpayer's income before the tax is calculated. Buying a home provides a way to pay taxes on a lower amount of income. This provides a financial incentive for people to buy houses. Any taxpayer can use the standard deduction, or they can calculate the amount of each individual deduction for which they qualify, total them, and use the total of the individual deduction items instead. As always, we are interested in the result that is LAMA (legal and most advantageous) to the taxpayer. This will almost always be whichever provides the larger deduction. To know if you itemize or take the standard deduction you need to have a sense for the things that qualify for deductions. You can also deduct the real estate taxes you pay. For most taxpayers this is their residence. If you pay real estate taxes on a property you rent to someone else you don't itemize those on Schedule A. You deduct those when you figure out your rental property's operating expense on Schedule E.
Personal property taxes paid can also be deducted. In Virginia Beach that's the lovely little blue sheet that comes from the city every year telling you how much you owe because of your vehicle (or boat or trailer). People sometimes get real estate taxes and personal property taxes confused. For federal tax purposes, real estate is land and buildings. Personal property is everything else you own. After taxes the largest deduction for which many people get a good benefit is loan interest. Specifically because mortgage interest is usually a big number and it's deductible. Points paid on a mortgage are deductible, but you usually can't take them all in the year they are paid. Points paid must be amortized (spread out) over the life of the loan. If you paid $3,000 in points for a 30-year loan, then you can essentially take $100/year in your deduction for points. Mortgage insurance premiums are deductible to taxpayers with an AGI below $110,000. Donations to charity are generally deductible if you itemize your taxes. There are a lot of rules about this, but the one most taxpayers should remember is SAVE YOUR RECEIPTS. There is a common misperception that the IRS doesn't require receipts below a certain level. Not true. If you are audited you have to account for every dollar. I frequently disappoint people trying to claim this deduction. The government standard for claiming it is higher than most people realize.There is also a minimum threshold before your expenses count. It gets complicated, so if you think you can deduct something do some research or ask your tax professional. Standard Deduction or Itemize? The House is Usually the Key. When trying to determine if a taxpayer is going to take the standard deduction or itemize their deductions I will typcally ask the taxpayer if they own their home or rent. The vast majority of homeowners use the itemized deduction because owning a home usually qualifies for mortgage interest and real estate tax deductions. Often just those two deductions will come to more than the standard deduction. If you don't own a house (and a mortgage) you will have to give a lot of money to charity to make itemizing more beneficial than just the standard deduction. Deductions are a great thing to have if you are trying to minimize your tax bill. 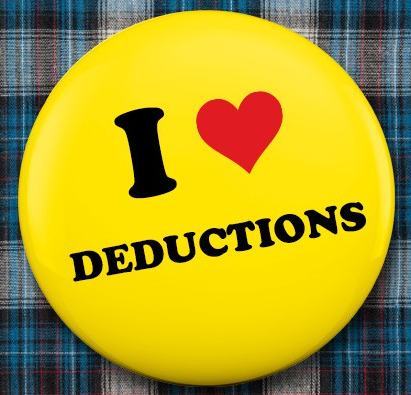 Getting the largest deduction possible might be something I can help you with. If you have any questions, please contact me.